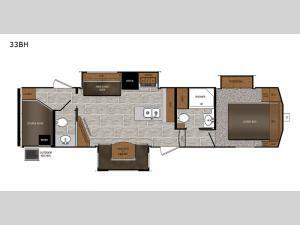 This Crusader LITE fifth wheel is fabulous for so many different reasons! 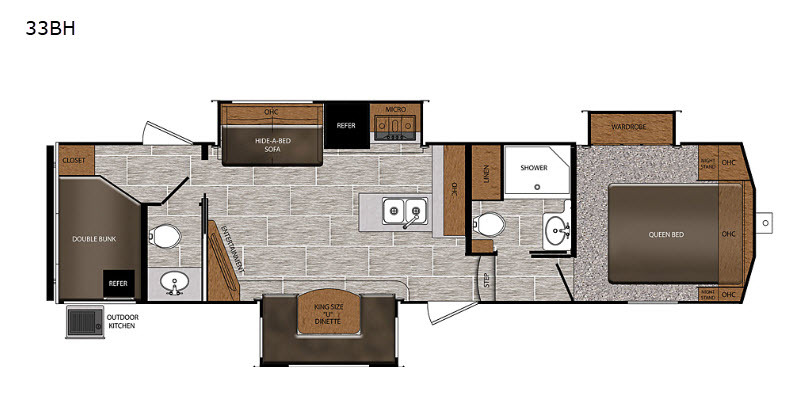 From the private bunkhouse suite with its very own half bath and exterior entrance door to the opposing slides and king-size U-shaped dinette in the central living area, this unit is filled to the brim with comfortable and accommodating features. You will also find the two kitchens, one indoor and one outdoor, to be thoroughly helpful as you prepare dinner each night. The Crusader LITE fifth wheels by Prime Time Manufacturing are where it is at! With an exterior shower that will allow you to rinse off before entering, you will be able to keep the interior free from extra dirt or mud, and you don't have to worry about using water while you are away because you have a 6 gallon gas/electric DSI water heater to keep the hot water flowing. You will also be thoroughly impressed by the various residential features throughout the Crusader LITE, as well as the many different stainless steel appliances.